Thanks for the insights Don1. Enjoyed your thoughts on future possibilities. Couldn’t help my little autocorrect giggle. Bianco cruised and showed his class, McAsey took some nice contested marks and Bell did some nice things in the ruck. Dean played forward and did some nice things. Ralph-Smith kicked 2 goals and also took a fantastic contested mark, another forward Jaquin Mifsud impressed me as did bottom ager Darby Hipwell. Louis Butler player half back and got better as the game went on. Finn Maginess was classy through the midfield aswell. Mmm very interesting. Thanks for sharing. Bianco onball away from a back pocket? Mcasey good enough to be in your top 20 now?! I think he’s a jet. Yeah I think Bell might be anything this year. Good to see some early form just needs meat on the bones. Ralph-Smith and a courageous mark… I’d need to be there to see it. I know Mifsud, classy half forward MGS kid. Doesn’t surprise me. You rate him? Yep Butler and Maginess good types. Hipwell also a decent type but wonder if he’s got enough toe and class. Does Bowman get drafted this year? And thoughts on Chirgwin and Mahony? 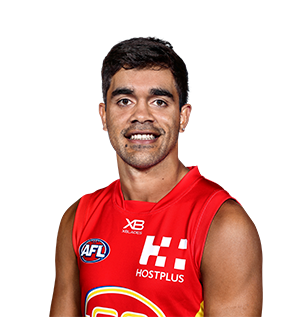 Ralph-Smith Mark wasn’t really courageous but he had to use his body, he came from behind to work his way to the front of the contest in mid air to take a strong contested grab against a bigger player, if he is to play as a forward I’d like to see more defensive actions. Mifsud looked a natural forward with good positioning and composure with the ball, could have kicked more than the 3 goals he got, i hasn’t seen much of him previously but he impressed me. Thanks thats a great summary. I was impressed with Ryan Byrnes today, always saw him as just a small accumulator with ok skills but he really showed some speed and agility from stoppages and his inside work and reading of the taps was fantastic, also hit the scoreboard well. Hard for me to think of a player comparison but Lachie Neale came to mind. Yeah right, haven’t heard or seen much of Byrnes. One to keep an eye on this year you think? Will he play nationals? I know the boys lists are yet to be finalised, but I couldn’t find the girls lists either. Might want to contact them on social media, would like to see if they bother to do anything with it. What’s the word on Luke Jackson, I’ve not heard his name bandied about much? I reckon we may be in the market for a strong ~200cm KPD with some athleticism at years end. Not many kids in general with that height are strong, Kings twins an exception and even then they have plenty to build on. McAsey is 196 but fairly solid and able to play both ends. At their age, it is more about their frame; something tells me Mason may not have one that supports a great deal of weight. If he does have his fathers body though, then he may not be a ‘gorilla’ type but he could be handy against that new breed of uber-athletic talls, especially if his foot skills are as advertised. 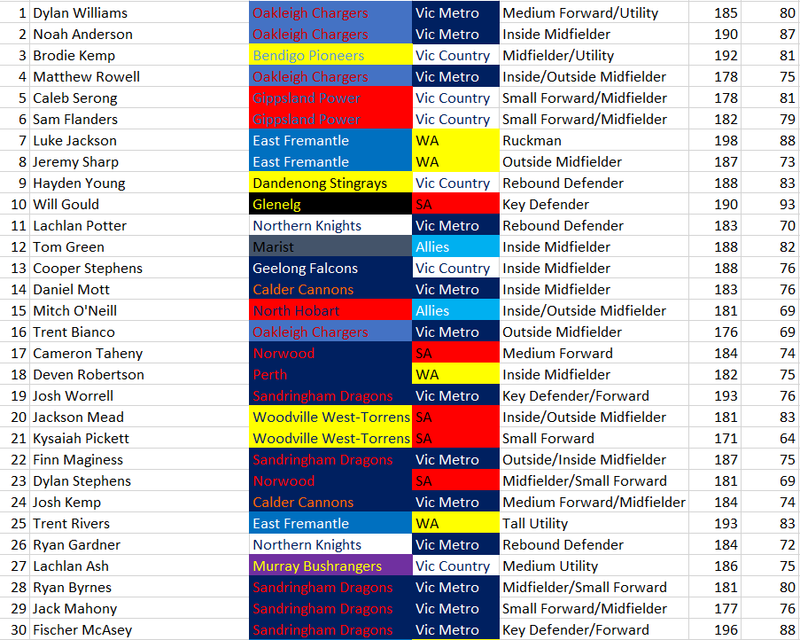 KPDs, even the very good ones, can be found anywhere through the draft and state leagues. I also think kp forwards who don’t (or won’t) quite make the grade at AFL level can make great candidates for conversion as they generally have a few tricks and tools up their sleeves. I agree, we should be taking both the R2 selections, plenty on offer there, allow us to keep building the talent pipeline. It’s very early but at this stage I’m not massively keen on the 2nd round of this draft, the top 5 or so are absolute jets with the next batch still very good but from 15 onwards their are a few unknowns. Personally I think we should be aiming to have a top 20 pick for this draft, something I am happy about is that their is some good depth for quick outside runner which I feel is something we don’t have depth in, we need to find the next Zaharakis. Hopefully, the draft deepens as the year goes on and Dodo and Co pluck out a few of the right sort. Seriously though, we may get lucky and find a replacement for Zaharakis from within the squad we have. Interesting. McAsey gets a gig, but no Emerson Jeka nor Charlie Dean. I personally think Jeka will be there. Dean possibly. Chirgwin should be a lock (what’s changed your view on him?). Also think there will be a lot more convo around Carafa come draft time - silky smooth. Thoughts on Nick Bryan as a ruck?